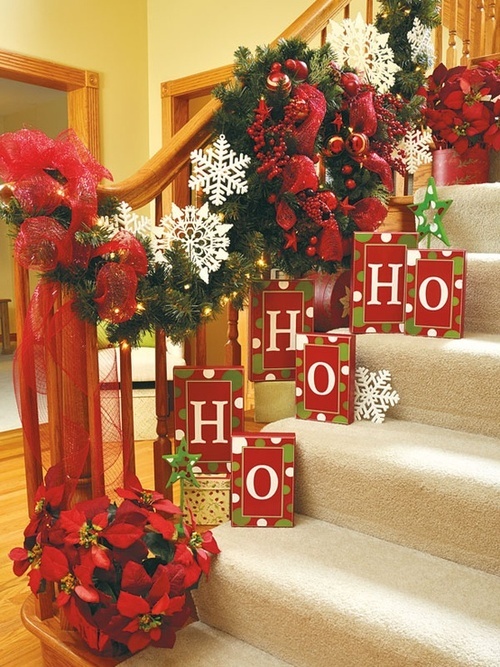 The most awaited time of the year is fast approaching and it will soon be here. 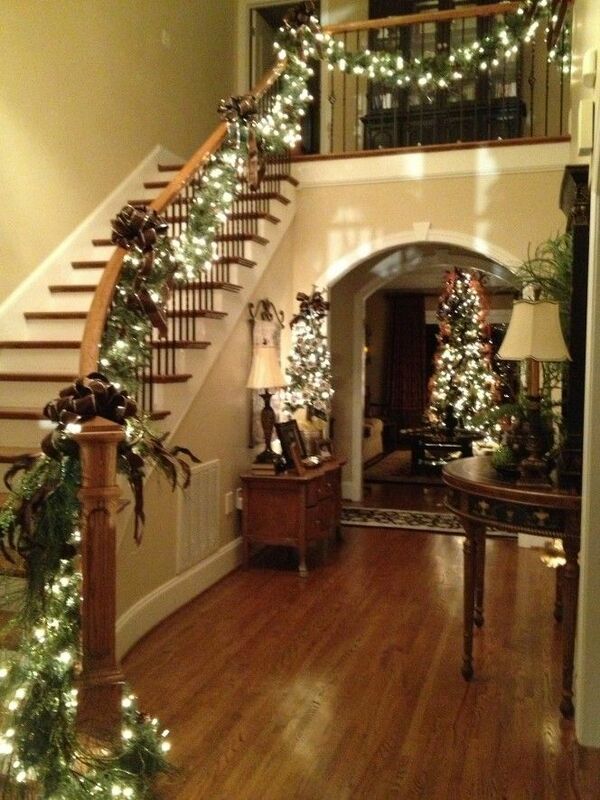 It is definitely the most wonderful time of the year! 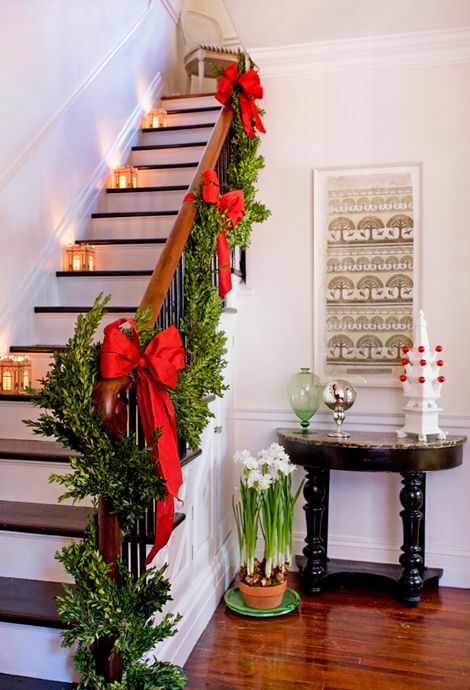 And decorating for the holidays can be a pleasure and good time pass in itself. 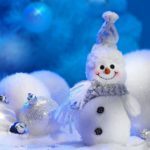 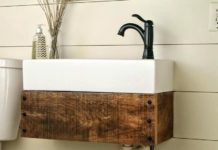 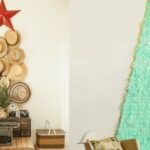 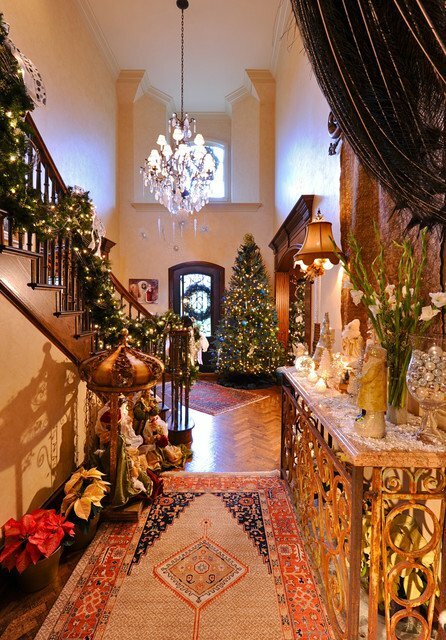 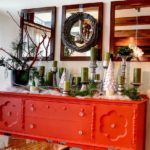 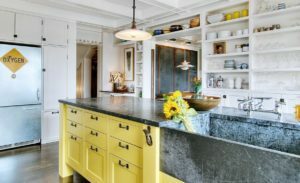 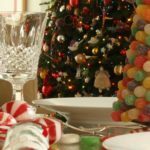 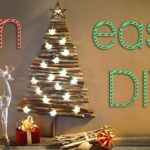 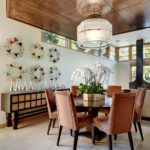 Just by applying some beautiful creativity and DIY ideas, your house can be alive with the holiday spirit without much affecting your time and budget. 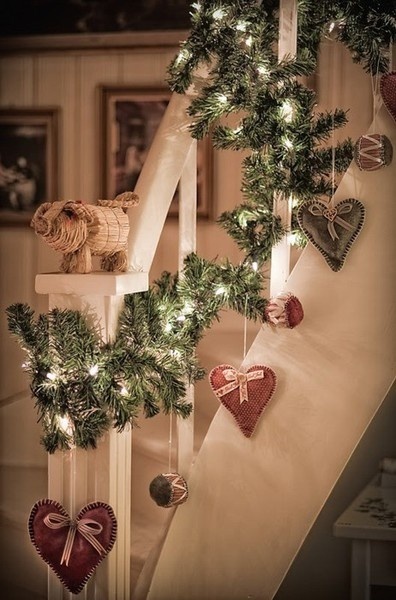 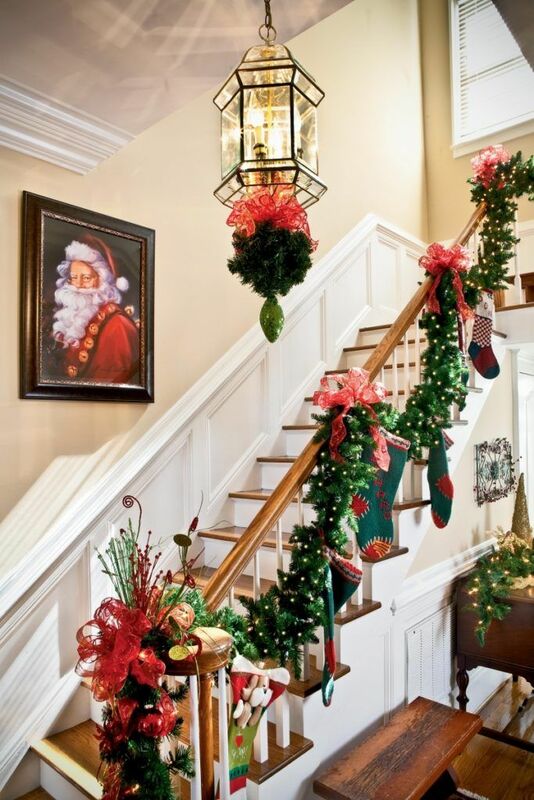 We welcome you to our latest collection of 30 Best Christmas Staircase Decoration Ideas for your inspiration and very helpful ideas to make your decoration activity simple and fun to do. 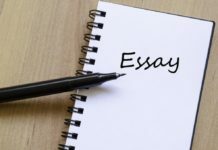 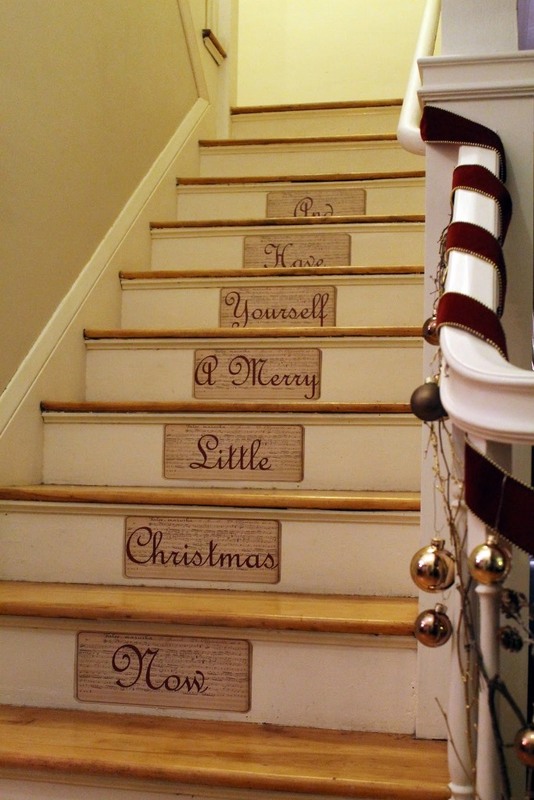 The tips offered here are fun and easy to do. 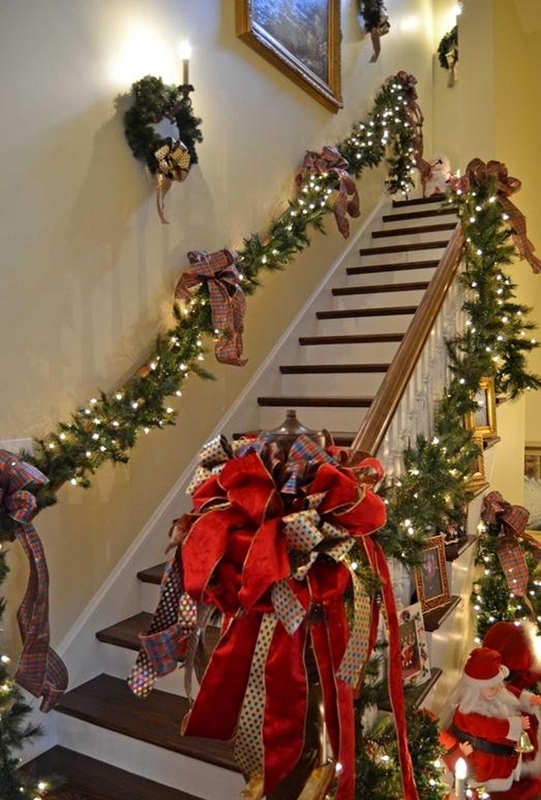 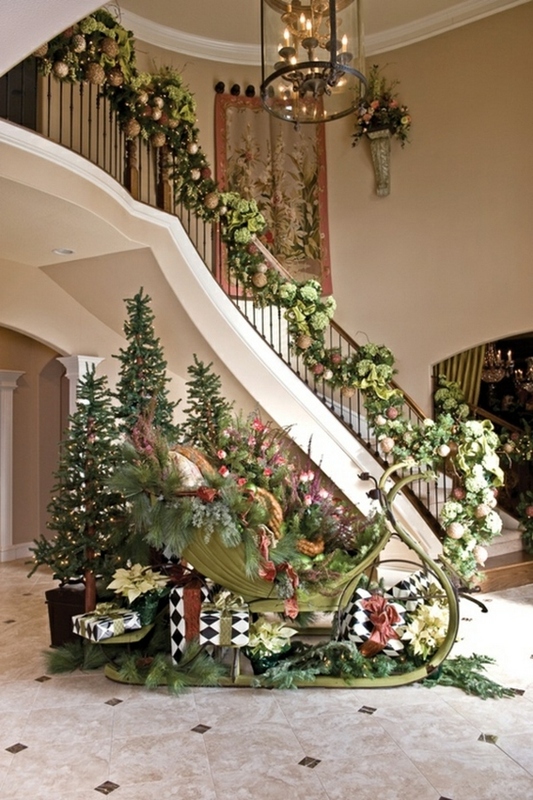 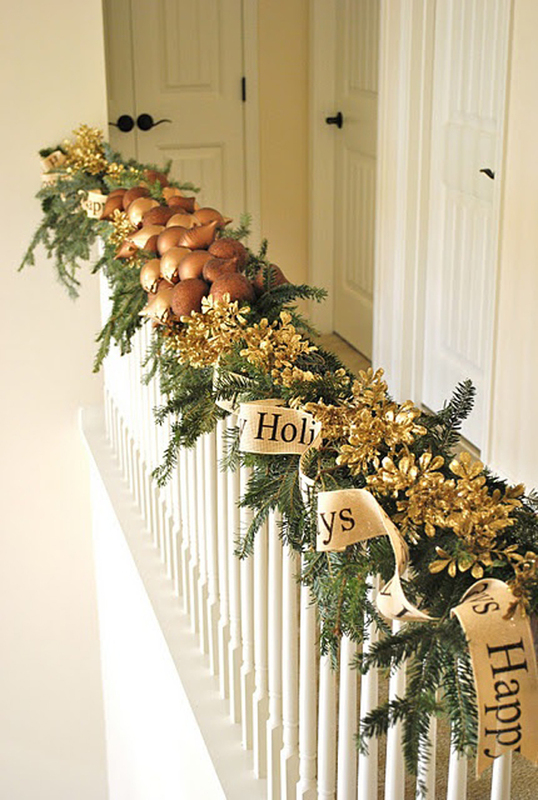 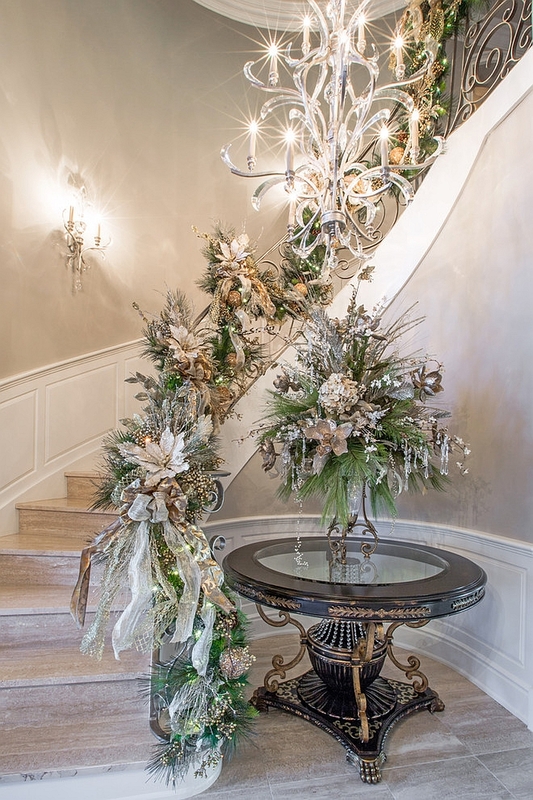 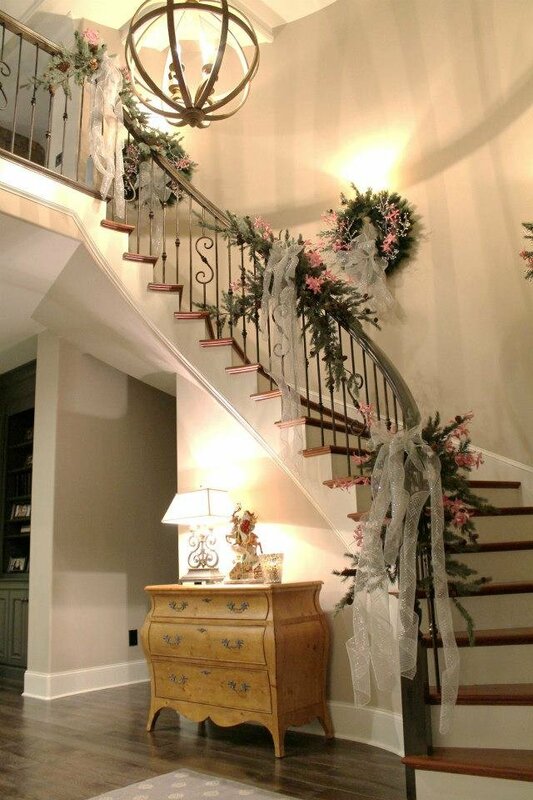 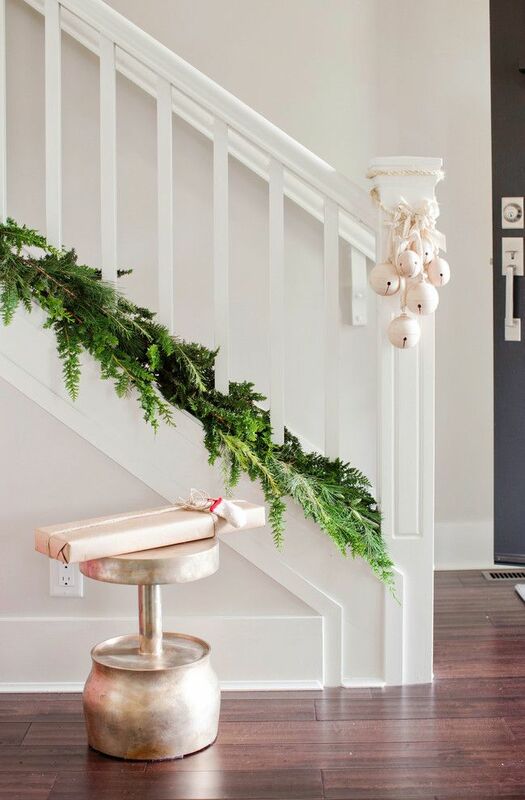 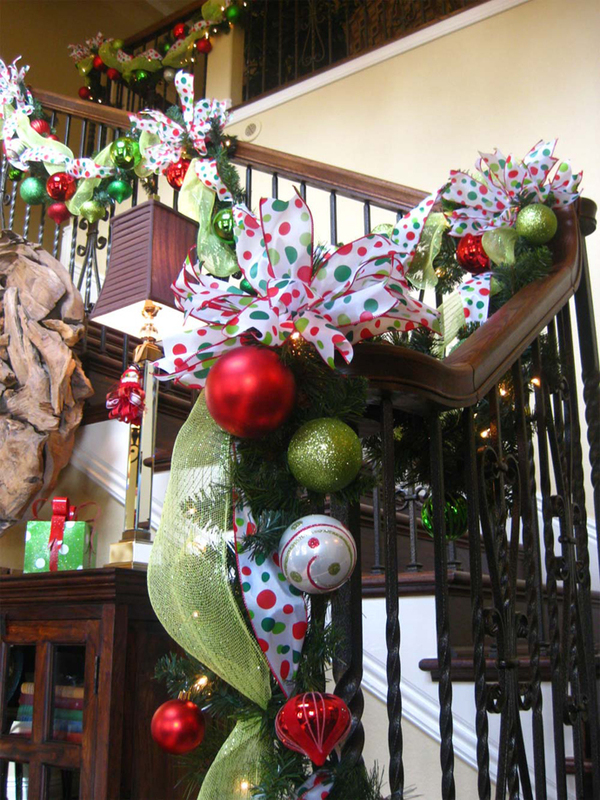 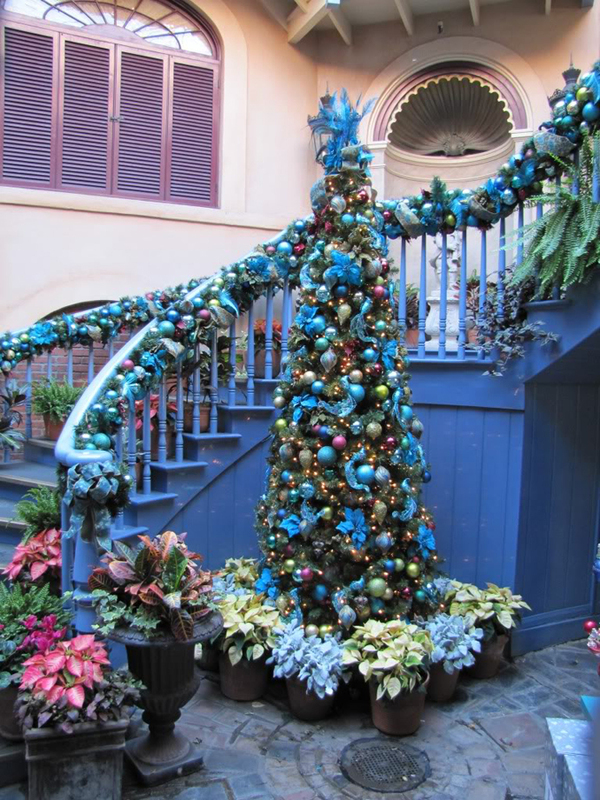 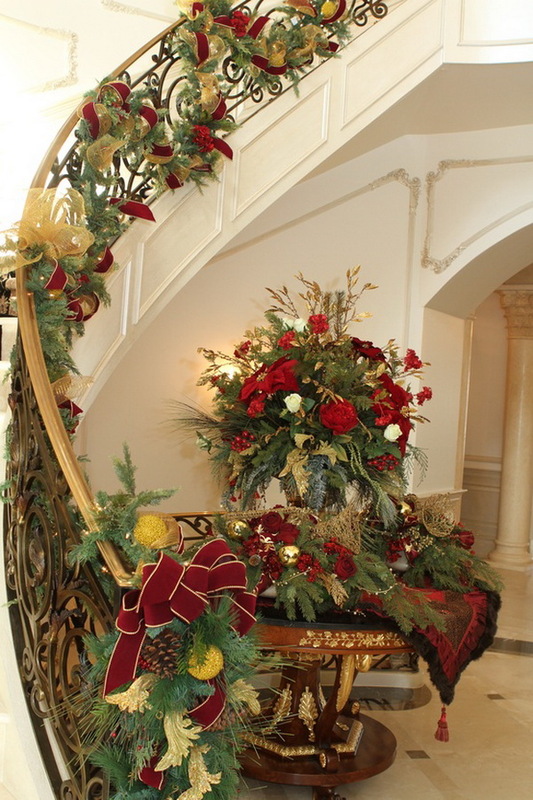 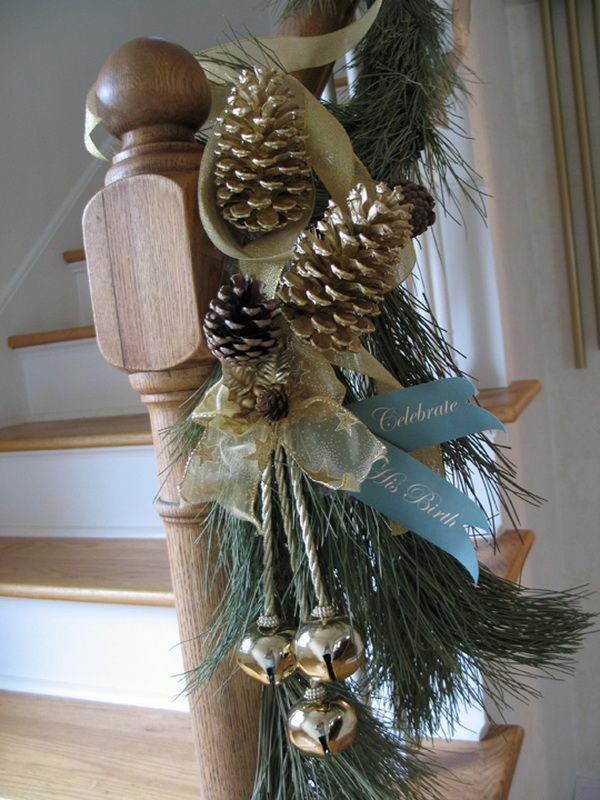 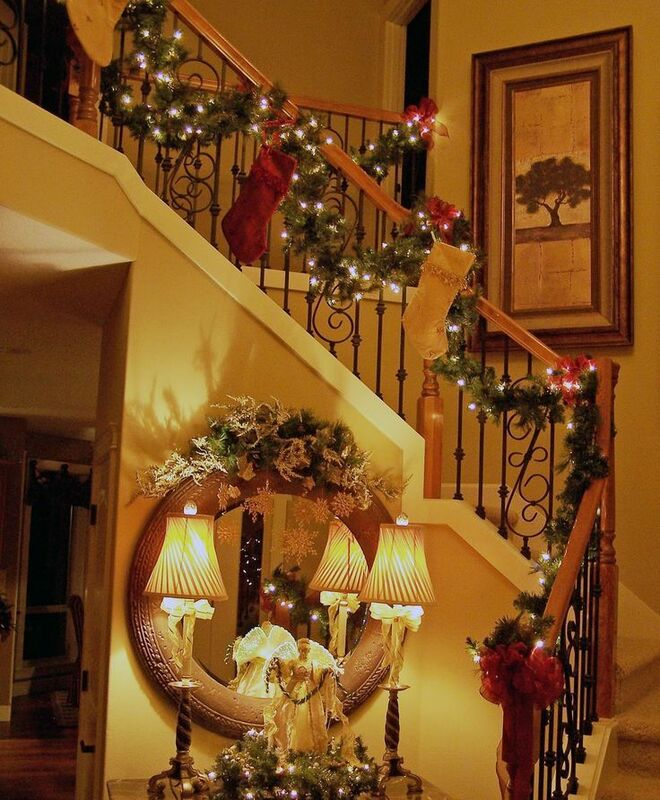 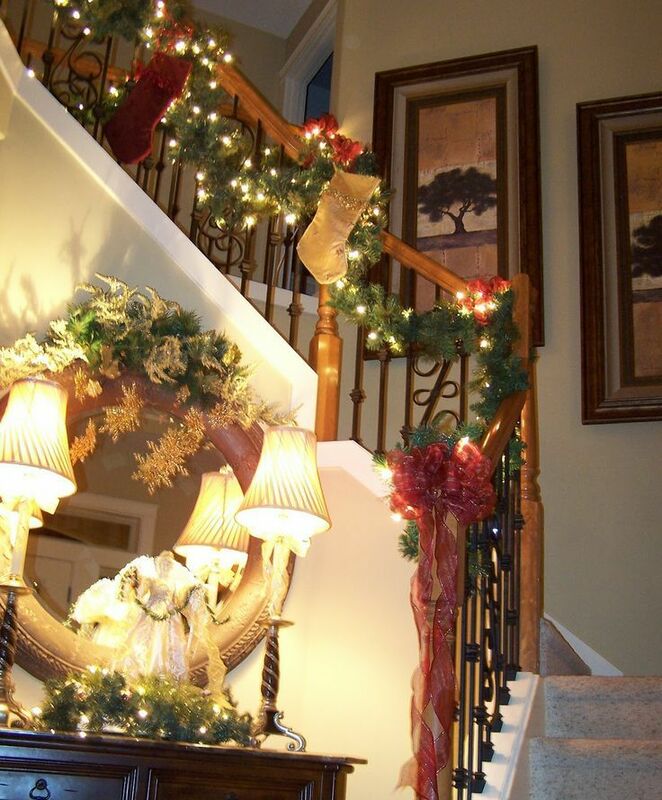 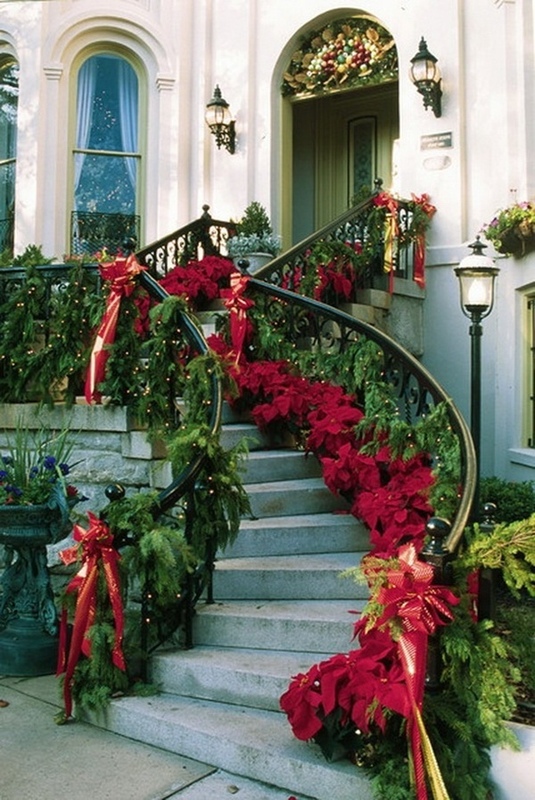 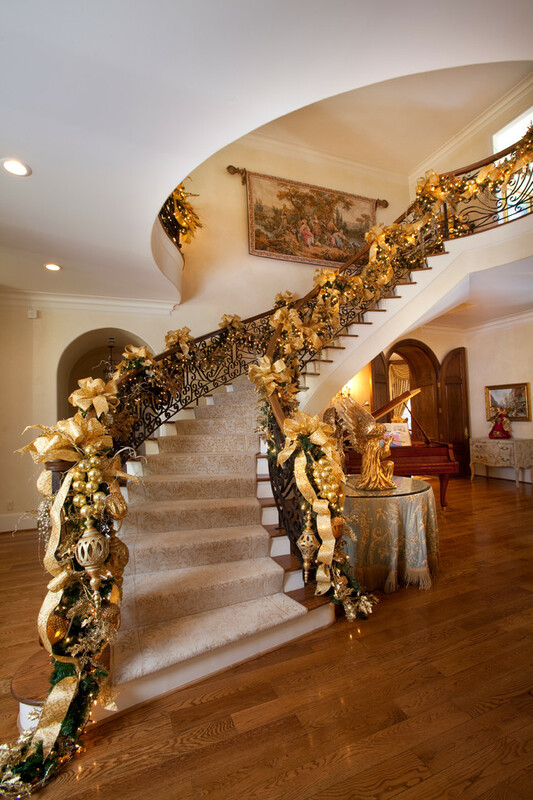 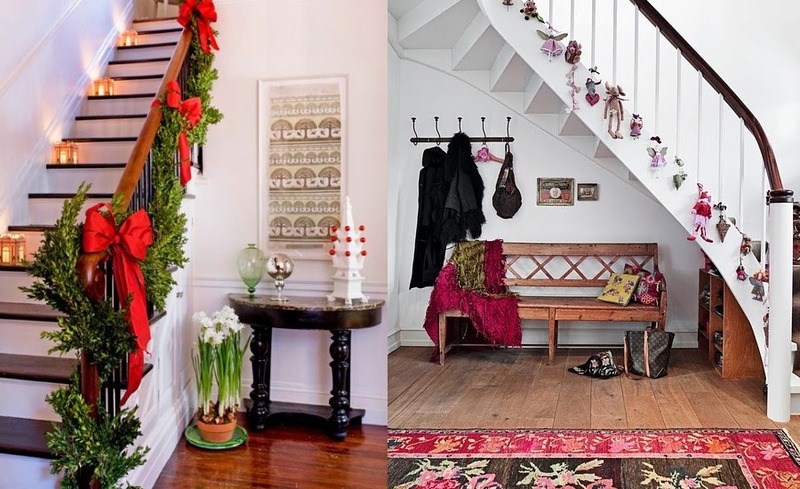 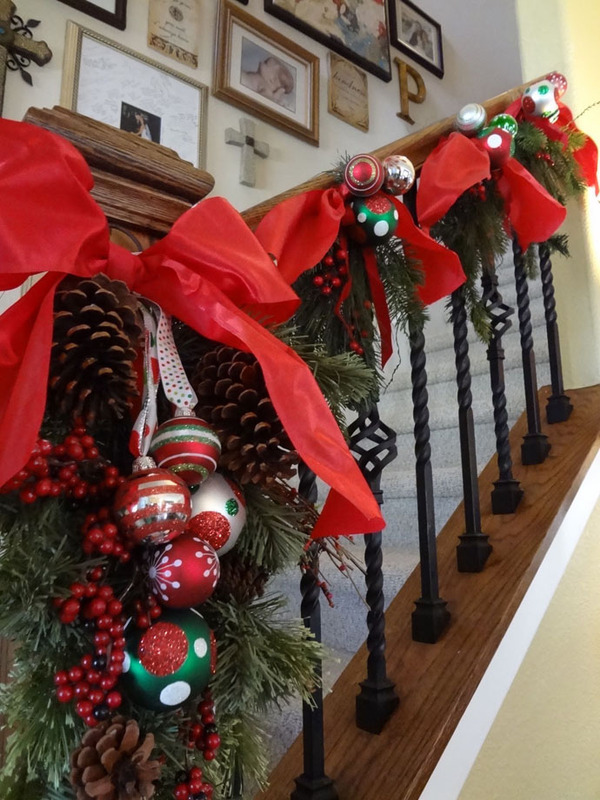 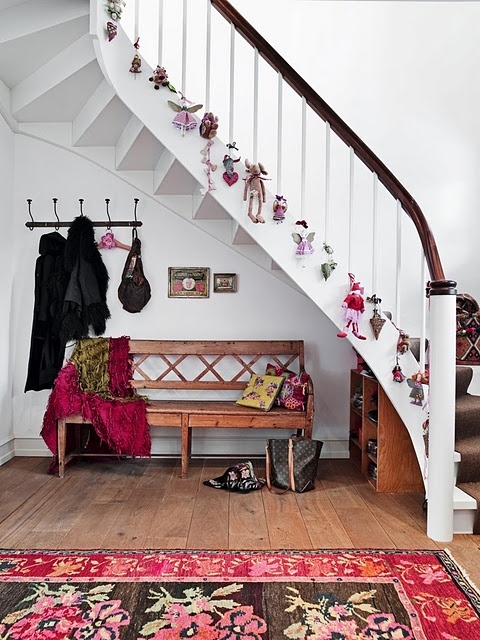 If you have a staircase or railing in your home or on the porch, it is easy to decorate it and make it look festive and welcoming to the visitors. 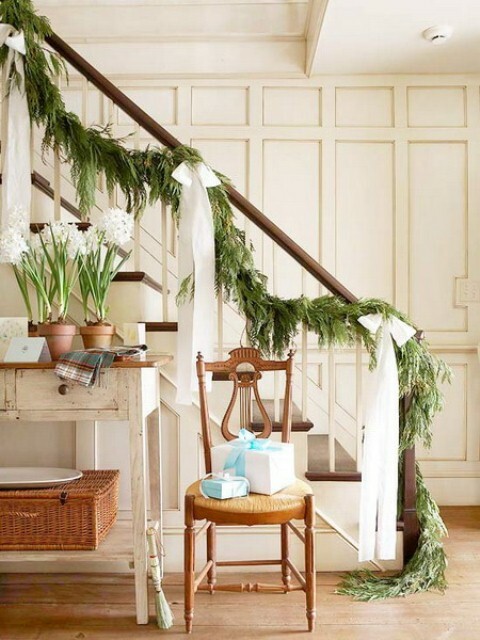 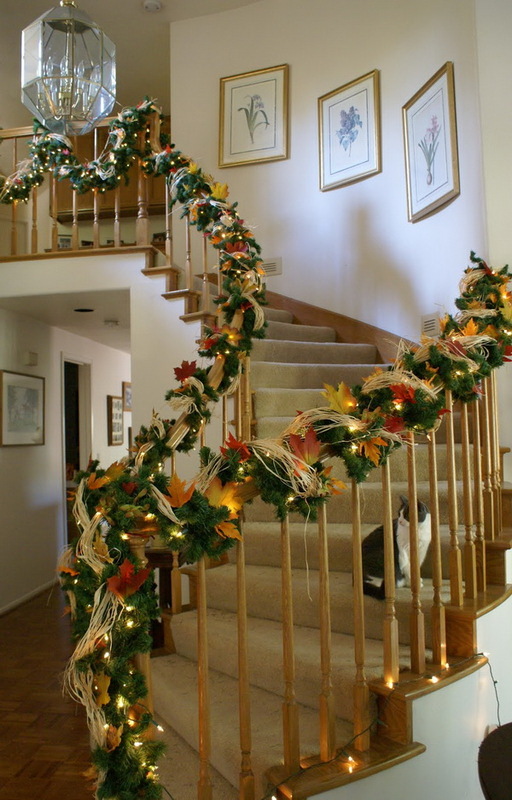 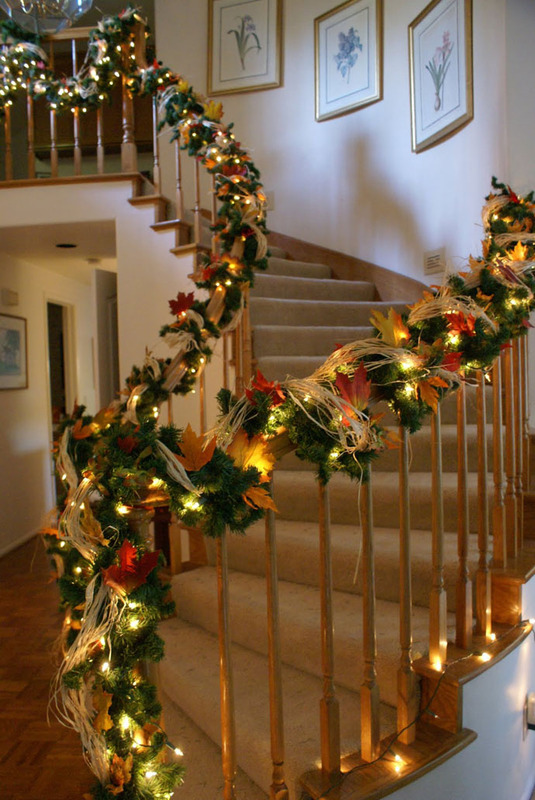 A very simple and easiest way is to start by choosing fir garland or flower one and decorating it on the railing of the staircase. 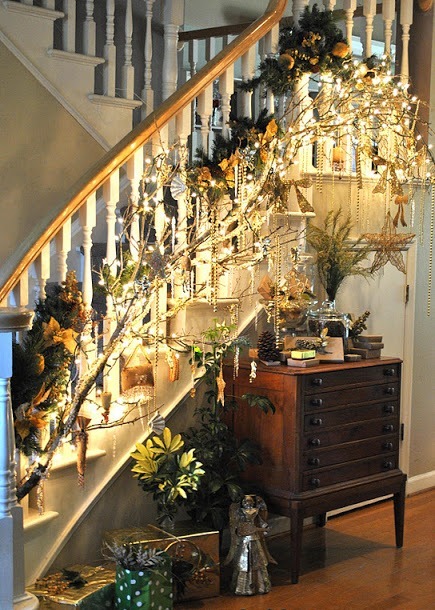 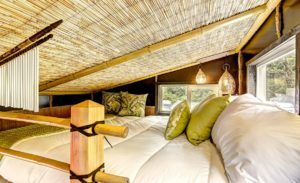 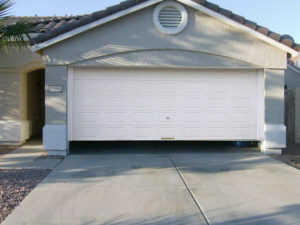 Lightings are also a very interesting idea and can attract very easily anyone. 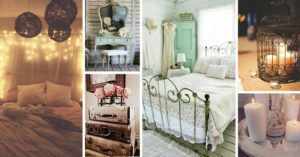 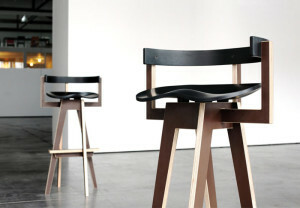 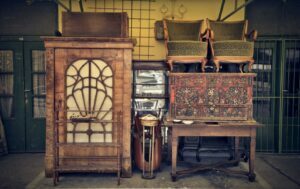 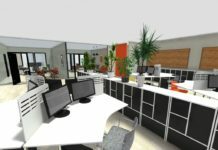 We have gathered a wonderful collection, go through it and get inspired.